It’s no mystery – Henry loves his BarkBoxes. His March “Sherlock Bones” box was no exception. What did he receive this month? Here’s a CLUE: keep reading to find out! 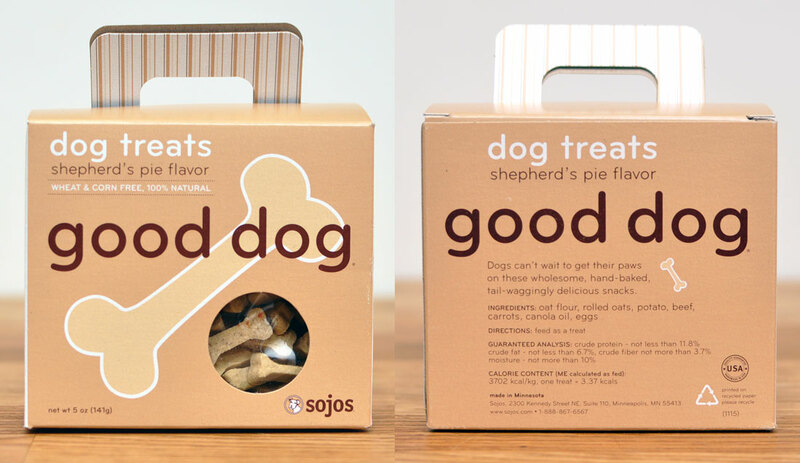 If you read my Sojos review, you know much much Henry LOVES their treats and how clever I think their flavors are! These treats are no exception: Henry is a huge fan and I love how easy they are to break into small pieces for training. One perk to BarkBox over other services is that they create exclusive toys to match their themes. They didn’t disappoint with this pipe, which is adorable, fun for Henry, and perfectly complements the Sherlock Bones theme. Adorable! I was so excited to receive this in our box! 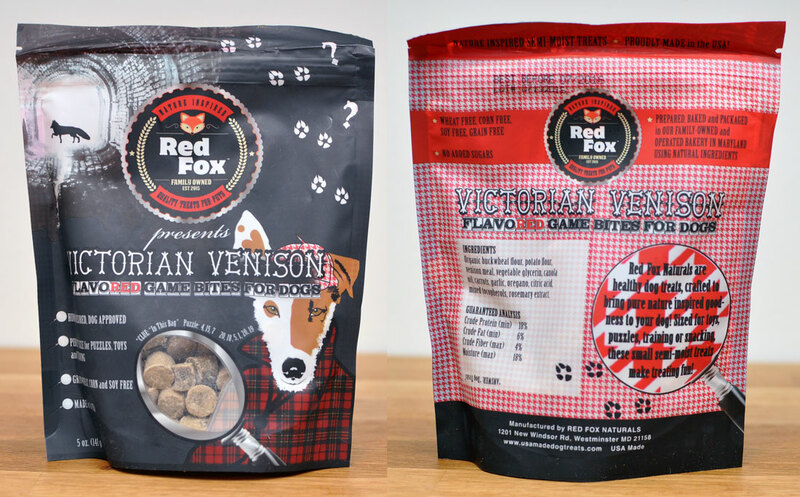 Henry is an extremely food-motivated dog and relishes the opportunity to work a little bit for a treat. 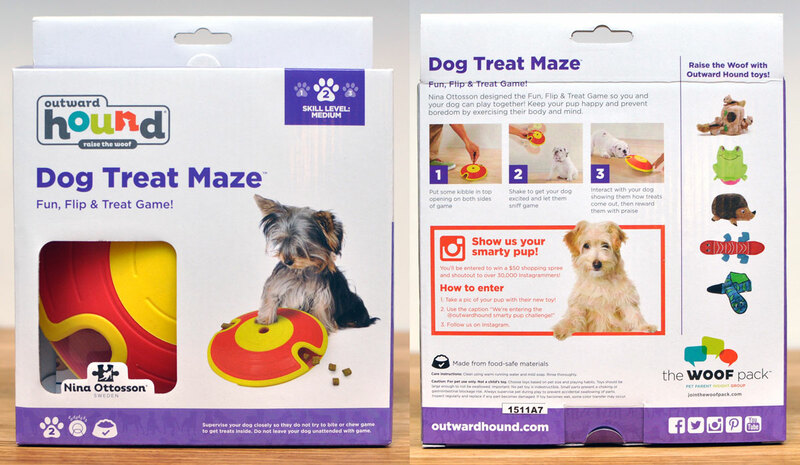 If you have read our Omega Paw Tricky Treat Ball review or my post on apartment living with a dog, you’ll know that I think puzzle toys are an important tool to help keep your dog occupied and content. While Henry does love squeaky and plush toys, it was such a nice change to receive something a little different in our box. Yum! These treats are soft, fragrant (to put it delicately), and the perfect size for the puzzle toy. What a cute addition to theme, too! Henry was, of course, a big fan of this chew and took only a few seconds to chomp it apart. Isn’t it an interesting shape? I’ve never thought to do a pretzel-shaped chew before. 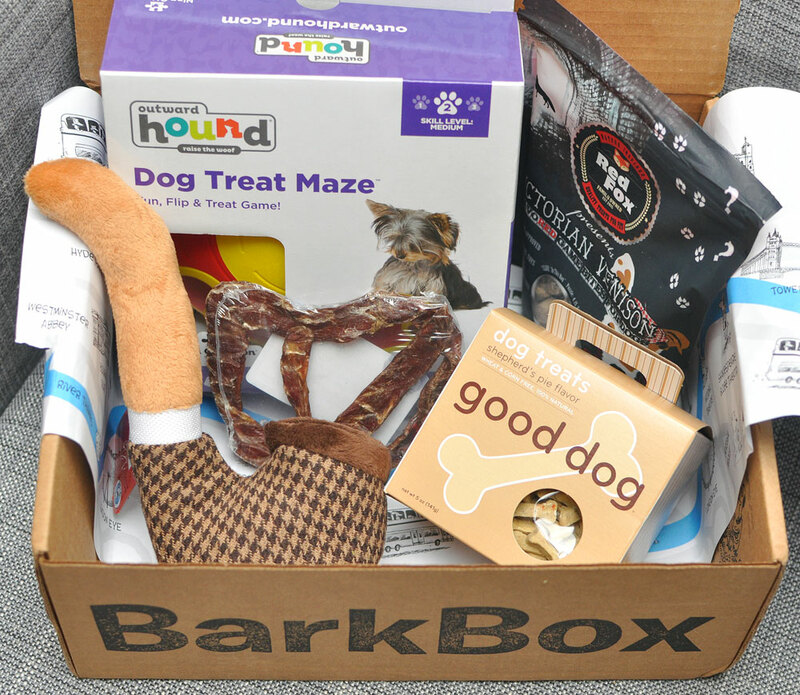 With such great products and themes, you don’t need to hire Sherlock Bones to deduce why Henry loves his BarkBoxes. Plus, the total value of this month’s box was $41, which makes it a great deal. 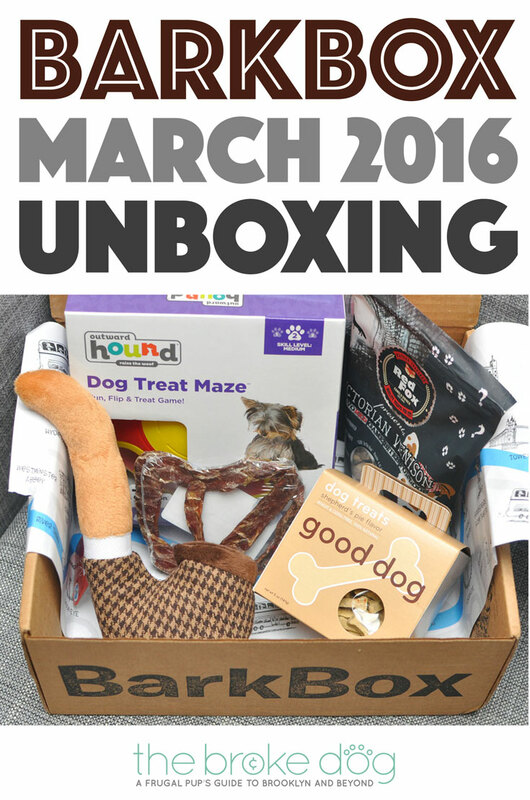 Learn about other dog subscription box services in our Dog Subscription Boxes: How to Save and Have Fun post and see other dog subscription box unboxings and reviews here! Hi Scott! Thanks for stopping by! Henry is about 22 pounds and gets the medium box. He was right on the line between their recommended weights for small and medium, so I decided to order up. The maze actually came in the regular box – I was so excited to receive it! Henry loves it too. There’s a chance that, if you use Henry’s code, it’ll tell you that it’s maxed out – this happened to someone recently – but I contacted BarkBox and they assured me that my readers will still get a free box if they use it. If you have any issues with it, BarkBox customer service is really wonderful and is easy to contact. Let me know if you have any questions about that or if you have and more BarkBox questions and I’ll be glad to help!